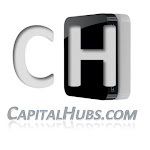 CapitalHubs provides you with ideas for optimal investment of your capital. Investors can choose between thousands of instruments and several asset classes. The key for success is just knowing what, when and how much. Resolving those questions the right way gives you advantage you need to proceed with your wealth building. CapitalHubs gives clue for major process of portfolio selection, allocation, optimization and performance. It is site for technical and fundamental research of the markets, both capital and commodity. CapitalHubs regularly reviews market sentiment based on methodology using breadth indicators of the broad S&P500 index as well as determining key turning points of markets and commodities based on important technical levels and significant fundamental factors. The techniques used in market analyses include Elliot wave theory combined with Fibonacci key levels. Regular review of mentioned analyses provides useful insight of current market sentiment and gives useful predictions for future moves. Overall view of the market allows to determine its current status and the basis of expectations for its future development in order to take investment decision. The website is designed to monitor selected indicators that generate buy or sell signals, also indicate significant turning points of the market mood and direction. Based on a combination of time series and cross sectional data monitoring and tracking of those indicators gives a real idea about the current state of the economy and capital markets. The system of the analysis uses a combination fundamental and technical indicators. To determine the key levels for buying and selling are being used several indicators that have shown their efficiency in historical perspective. The percentage of companies over 50 period average of the S&P500 index is used to determine current or overbought or oversold market status. Extreme levels generate entry signals if you are at the bottom of the scale and for sale if they are at the top (sample here). Another indicator that is used in the methodology for determining key market levels is indicator S&P500 to 200 daily average period. This indicator measures the long-term market breadt. Below the average values is a buy signal. The ratio of put and call options showed sentiment among investors about the direction of the market and a desire to hedge existing positions. As a rule, the relationship of the index and market is opposite – i.e. the more investors you have purchased call options, the more the market is overvalued, and vice versa. To establish the business cycle stage series data for basic indicators such as GDP, inflation (CPI), unemployment rate, fed funds rate, US government fiscal position is being used. As well as observation of condition housing market through the Case-Shiller US Home Price Composite 10 index. Short-term indicators for determining the direction of the economy include the Industrial production index, ISM, Real interest rate. The review of these technical and fundamental factors for specified period allows precise setting of the current state of the economy and contributes to more informed investor decision. Why You Should Be Worried About This Bull Market? Did you press “like” button for the Facebook IPO? None of the information in this site constitutes a recommendation of particular security or trading strategy nor is suitable for any specific person. Please consult your personal financial adviser for specific investment recommendation. CapitalHubs.com. Theme images by DNY59. Powered by Blogger. This work with autor CapitalHubs.com is licensed under Creative Commons 3.0.